As you would expect, the moment the Apple Press Conference was finished, our inboxes were flooded with requests for the new iPhone models. While the iPhone X is the most expensive to be released to date, I think we were all expecting a hike in price, so there were no real surprises there. We have availability to pre-order a certain level of stock, so if you are keen to be one of the first to receive the device (bragging rights), do not hesitate to get in touch with your account manager, who will be able to advise on availability and delivery lead times. 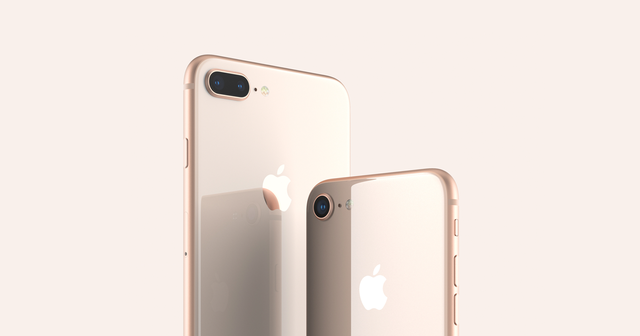 In regards to the new devices, there are a great deal of new features available on both the iPhone 8 (available later this month) and the iPhone X (available in November), making the releases the most exciting to date. The iPhone X is equipped with an A11 Bionic processor, improving and adding services such as speech processing and image recognition. The all new HDR screen is bigger, but stretches to the edge of the device, meaning a smaller body. The Camera has been upgraded and will shoot 4K HDR Video. The battery is said to last 2 hours more than its predecessor and includes wireless charging, with a quick charge taking you to 50% in 30 minutes. To summarise, Apple have put a lot of thought into this new launch. From what I can see, they have aimed the new devices at the user, taking on board all of the little niggles. There is something for everyone and I personally would love one of these devices. Get in touch ASAP to pre-order yours! iPhone X Say hello to the future.